What Makes A Smaller Diamond Look Bigger? If you want to make your diamond look larger than it really is, pay attention to what setting you choose. Halo settings, which feature small diamonds circling the main diamond, can make your center stone look much larger. Plus, halo settings are incredibly trendy right now, so you won’t have to sacrifice style for this look. Placing a diamond on either side of the center stone is another way to make your diamond look larger. By using side stones that are significantly smaller than the center stone, the center stone will look larger due to the contrast. Don’t use larger side stones, as this will have the opposite effect. Have you ever noticed that a small, cramped room looks much bigger if you add a mirror to it? The same logic applies to diamond jewelry as well. Pair your small diamond with a white metal and the diamond will instantly appear much larger. This is because the stone slightly reflects in the shiny white metal, which magnifies the appearance of the diamond. Both white gold and platinum will help you pull off this trick, but white gold is the best choice because it is much more reflective than platinum. Love a traditional yellow metal? Try a two-tone ring, with a yellow gold band but a white gold setting for the same magnifying effect without missing out on your traditional tastes. An elongated diamond will cover more space on your ear, finger, wrist, or neck, making it seem larger. 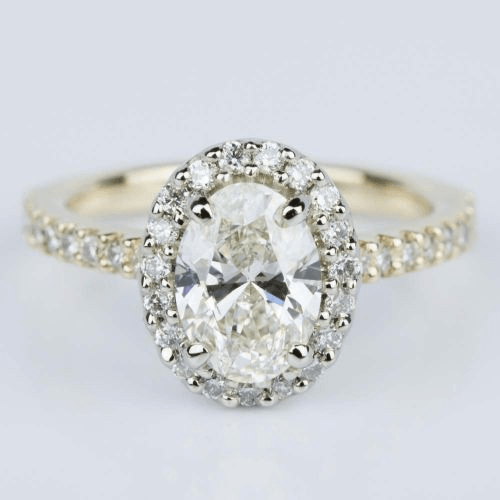 Marquise and Oval diamonds are especially good for this trick. 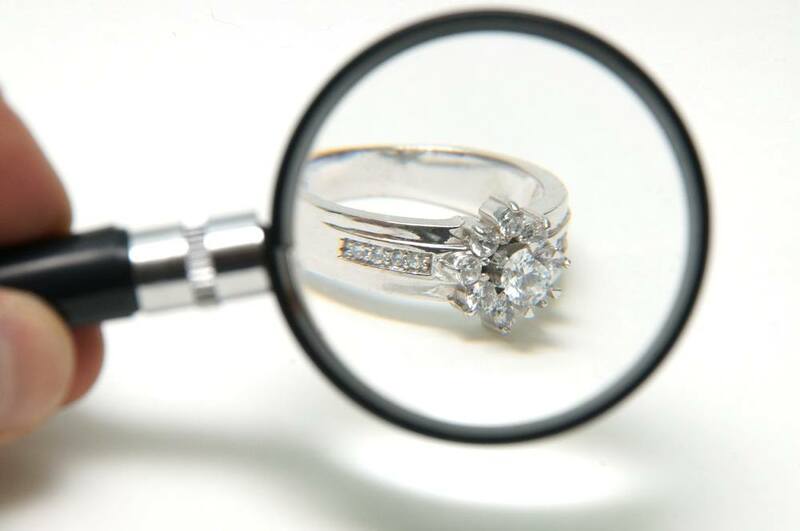 Clean diamonds will reflect more light and sparkle brighter than diamonds that are a little dirty. Because of the extra sparkle, they tend to appear larger than dull, dirty diamonds. When your diamond starts to lose its luster, all you need is a soft bristled toothbrush and some dishwashing soap for a light, at-home cleaning to restore its brilliance and fire. Prongs are the small pieces of metal that hold your diamonds securely in place within the setting. 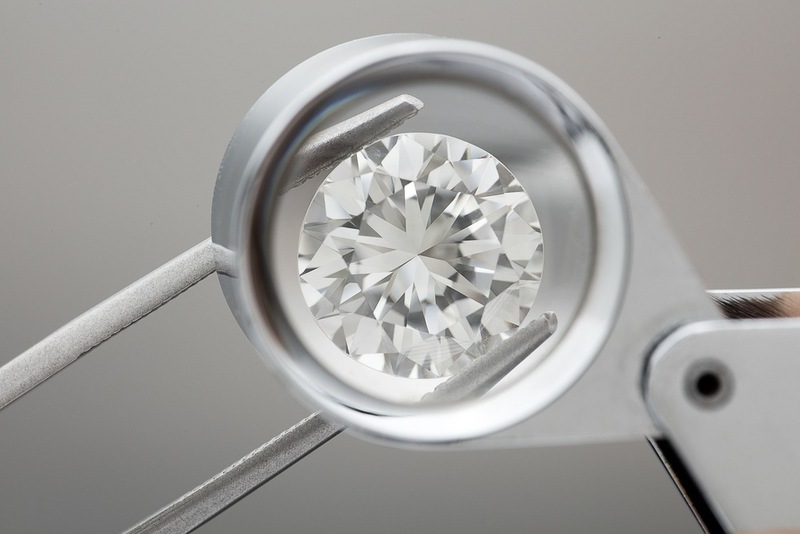 There are various types of prongs, but if you want your diamond to look bigger, choose the slimmest option available. The slimmer the prongs, the less of the diamond they will cover, which means more of the stone will be exposed and the diamond will look larger as a result. Be sure not to sacrifice size for safety, however! You want prongs that are substantial enough to hold and protect your diamond, preventing the stone from coming loose and protecting it from breaks and chips that will decrease the value of your diamond. It doesn’t matter what your budget is—with these tips, you can make your reasonably priced diamond appear much larger than its true size!